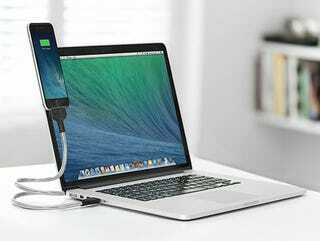 The Bobine flexible charging dock is the all-in-one charging and docking solution for your iPhone. It’s both strong and flexible so you can adjust it to any height or angle you could possibly want. Right now Deadspin readers can pick one up for 28% off + free shipping. The Bobine offers versatility that other chargers or docks can’t - you can place it nearly anywhere and customize it for maximum convenience. It’s designed with military-grade nickel-plated steel, ensuring it will hold your phone up as you bend it into any position. Shipping is included in the sale price, but is only available within the US. Hit the link below for more info and grab yours today.